The total length of the leader is dictated by the rod length and what suits you and the water conditions. 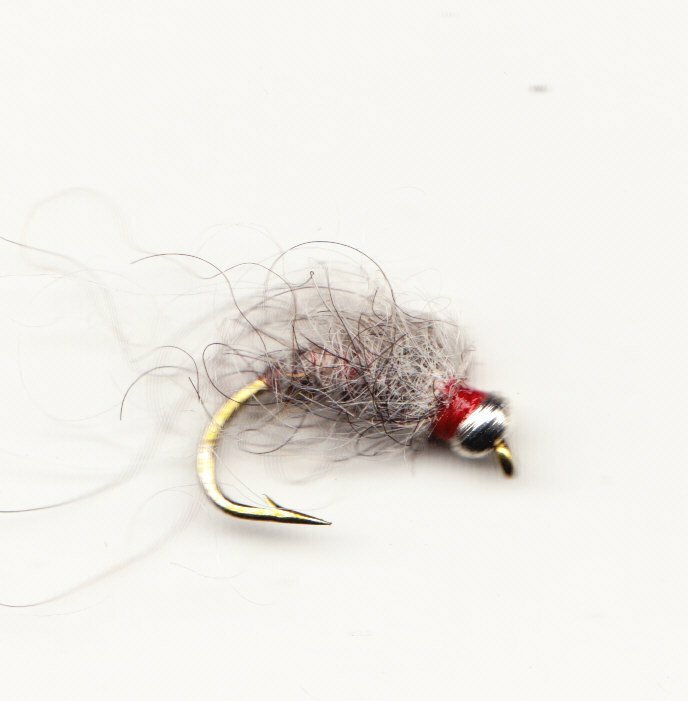 The important bit is the 12” between each fly, this ensures that the combined weight of the flies get to the bottom very quickly and stay there. Two fly teams can also be used. 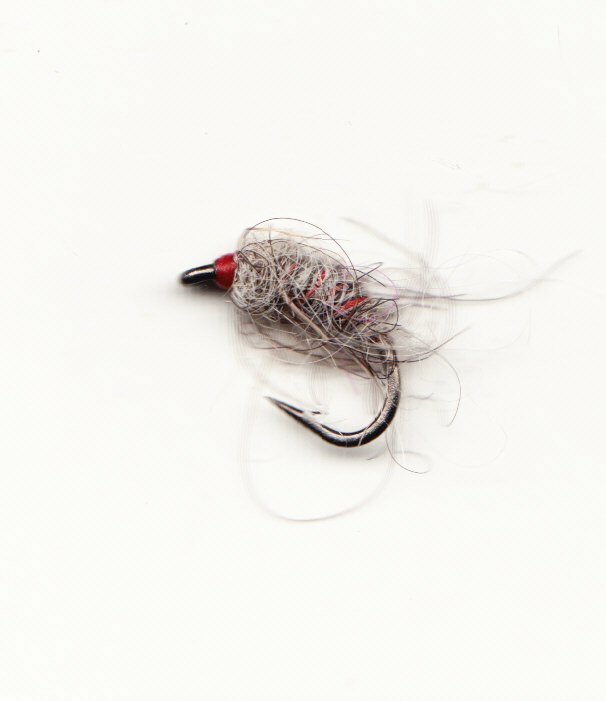 The heaviest fly is usually put on the middle dropper, but again there is scope to experiment. My first attempts to master this technique revolved around getting the weight of the teams of flies right to suit water and wind conditions. It soon became apparent that four easy to recognise weights of fly were essential. 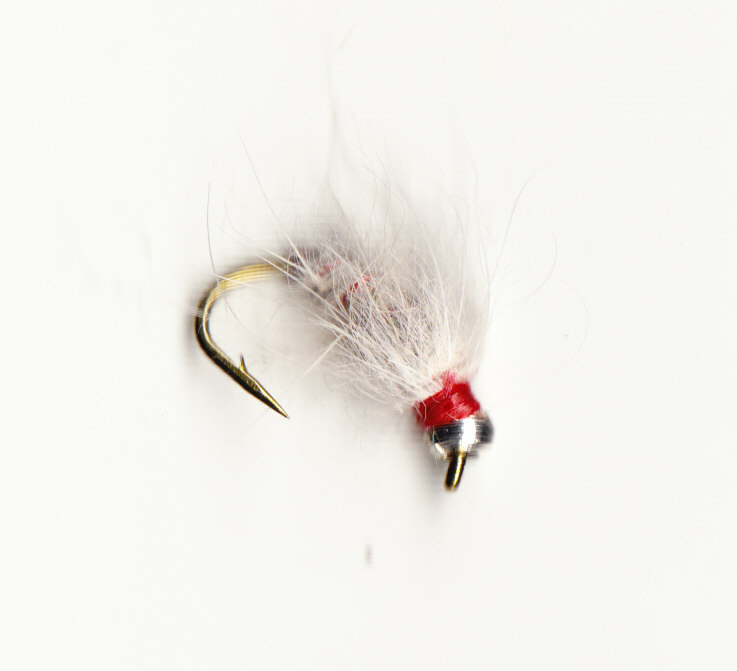 The following is offered as a means of solving that problem in a crowded fly box. 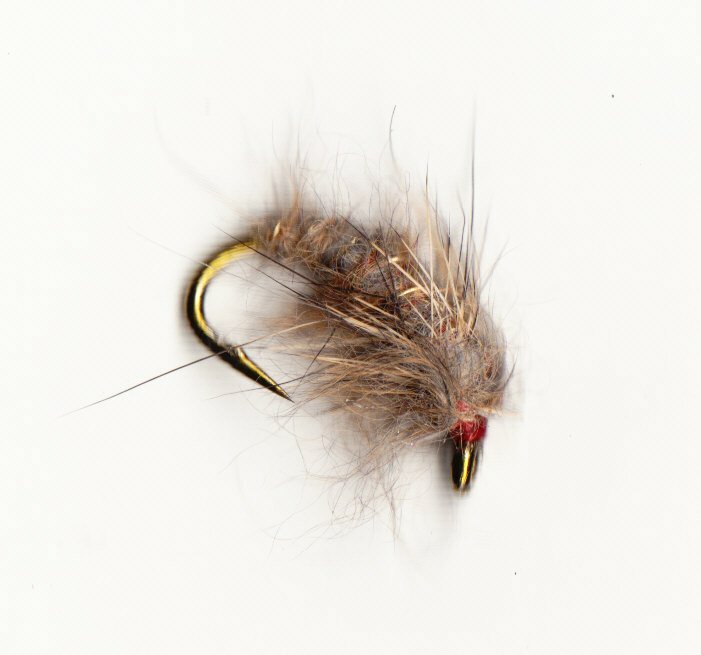 These are standard leaded flies, heavy but pretty lightweight compared to what comes next! These are Gold & Silverbead pattterns that are tied with extra lead as well. 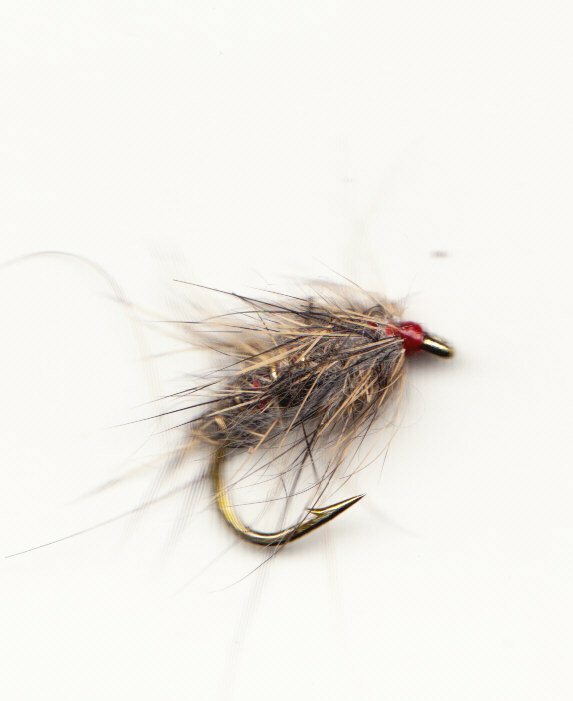 Easy to spot in the fly box. 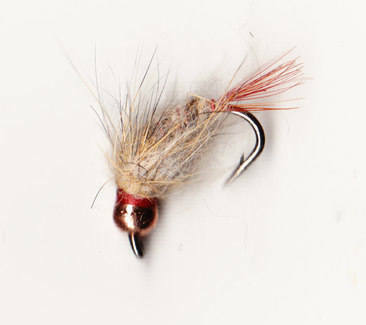 This is tied with a tungsten bead and lead and will sink in any current! Tied with Lime 2.9mm and Hot Orange 3.3mm beads. 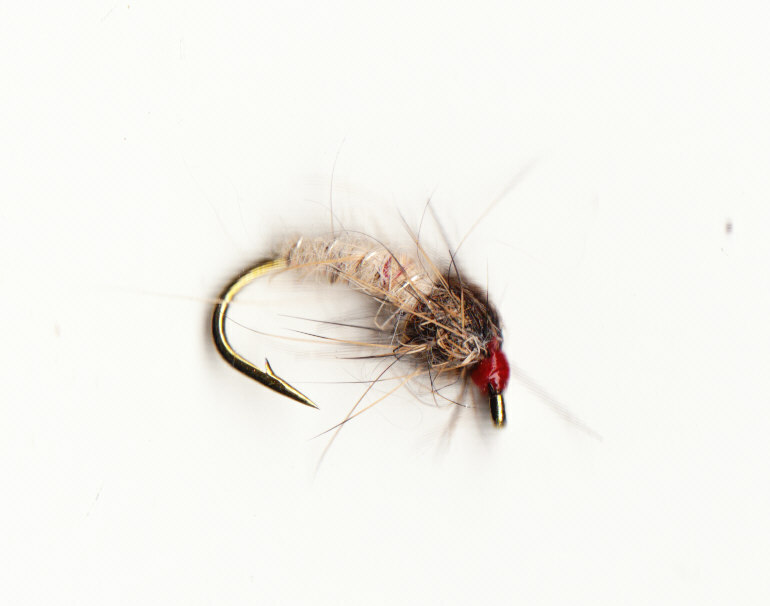 Memories of the Nidd in Yorkshire where when things were quiet you took the fly off and attached a hook, searched for a worm in the grass, and free lined the fast water for trout and grayling. 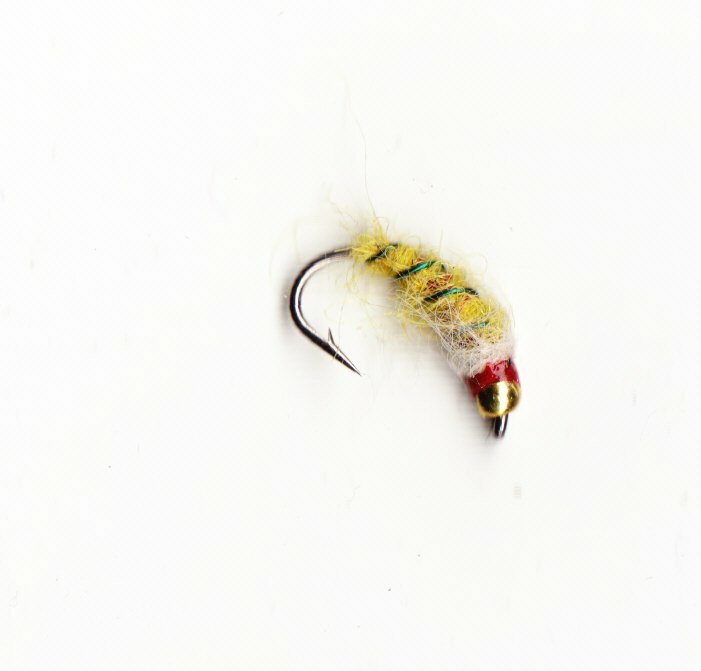 The method was expertly outlined by Sydney Spencer ‘ Clear Water Worm Fishing’, it’s a while since I read it, at some point I need to hunt down a copy as I am pretty sure the Czech Nymph Method might have been inspired by Mr Spencer. Like all short/free line methods this is a very absorbing fascinating technique. Careful wading and complete silence are essential. Success comes as a bit of a surprise, something more akin to a conjuring trick rather than a fishing method. Just met a spey fisherman who has taken seat trout and a 3lb Grilse on the flies. I suspect there is scope in fast water runs in the summer months, wait a minute Mr Falkus had something to say about worms and rapids…..